Married off to a man more than twenty years her senior, Koyuki has no idea what her new life has in store for her. She's so in the dark, in fact, that she hasn't even seen her husband's face! But Koyuki isn't alone in fumbling through the intricacies of wedded bliss. Mask-donning Shin might have many years on his young wife, but as it turns out, he's just as naive as she is! Will this pair of innocents ever get past their awkwardness (and the age gap)?! 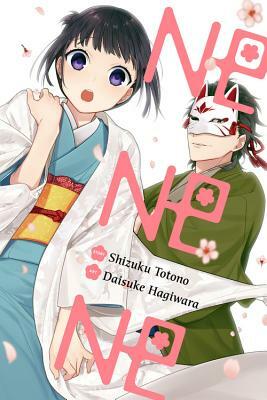 Shizuku Totono is the writer behind Ne Ne Ne. Daisuke Hagiwara is the artist behind the manga series Horimiya and Ne Ne Ne.